Smart Cities are becoming the future not only for us but also for next generations. Modern technologies help us to develop the world of IoT (Internet of Thing) and to realize projects that are interesting, helpful, and beneficial. 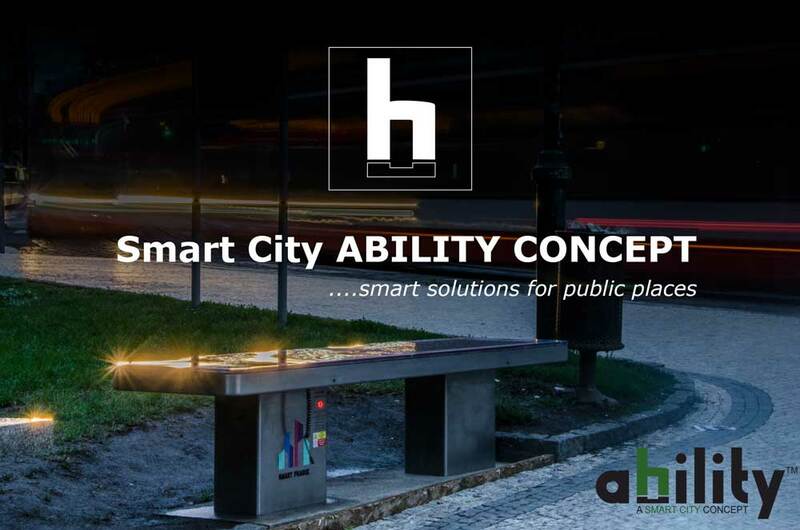 Our roots come from IT and machinery industry, that’s why we decided to start developing our own products for public places and smart cities as this is the way how we can utilize our professional experience and bring something good for all of us. We develop and manufacture our products in the Czech Republic. Integrated LTE Wi-Fi modem in our products provides nonstop free internet. It is easy to connect any mobile device or laptop to our Wi-Fi hotspot. Just connect your device and enjoy the high-speed (up to 20 mbps) internet at any of our products. Get in touch with your friends on Facebook, Twitter, Instagram, etc. or read actual news. Our connection is safe and stable. All you need is just to turn on your Wi-Fi. Renewable Energy Sources are a key to making our environment better. We use only quality solar panels in our products. We are able to provide electric energy for up to 6 days even when bad weather condition prevails thanks to the most modern batteries and smart control & regulation. Our solution is completely off-grid, so we do not use any fossil energy in our products. Our products are equipped with various functions (optional). One of the most important function is the SOS button that, in case of emergency, connects you directly to the Emergency system 112. Other extended features are sensors of the air quality, humidity, atmospheric pressure, and temperature. We are also able to provide more sensors depending on use. We designed and prototyped two general solutions of the smart benches. The first one is the smart bench sCitypro, which is a premium smart bench. Its maximal power is 130 Wp and you are able to charge 8 devices at once (2x USB cable Apple/Android + 4x USB port + 2x wireless charging Qi). 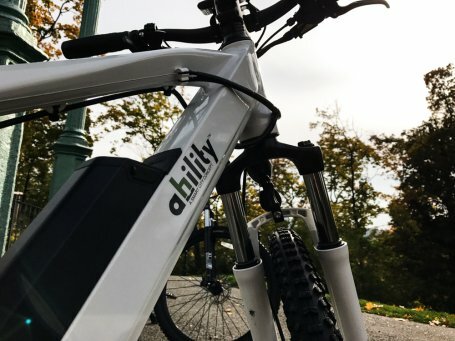 It is connected to the high-speed LTE internet and equipped with sensors collecting weather and connection data. 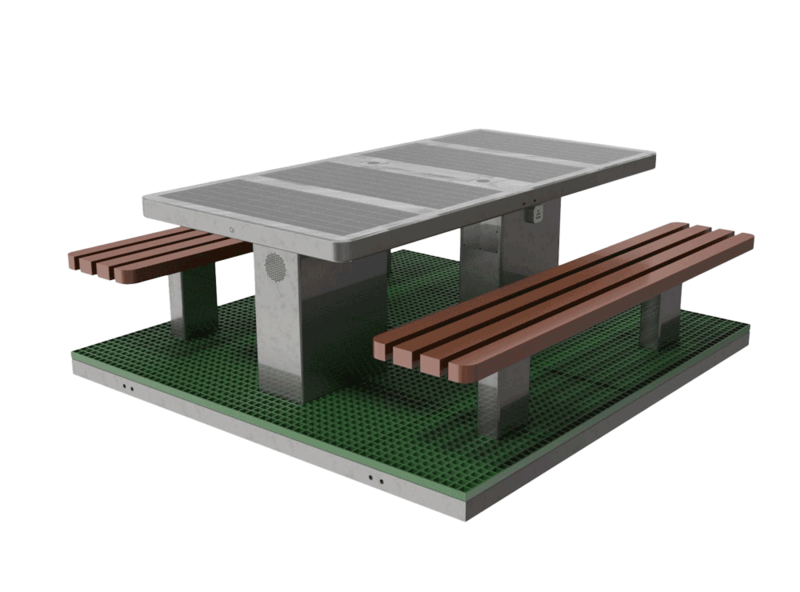 This smart bench may last up to 10 days in bad weather conditions depending on use. sCITYsingle – we call it a little brother of the sCITYpro. This bench is 1,2 m long, so it is comfortable even for 4 people. It is also equipped with one wireless charger Qi and the USB ports. You can connect to the free internet by the high-speed LTE Wi-Fi. Its functions and features are similar to the sCITYpro. It also collects data about weather conditions such as temperature, atmospheric pressure, humidity, and the air quality. It is economically more efficient to procure this smart bench due to its size, but to be honest with you, the best “WOW” effect is with the sCITYpro. Anyway, you will fall in love with sCITYsingle too. 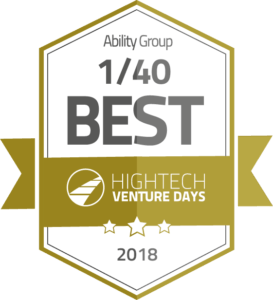 We are the first in the CEE who brings the complete and complex solution to the market. 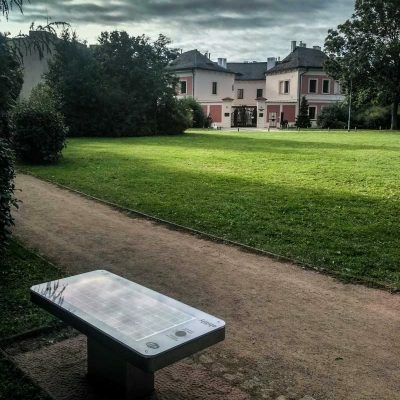 Sophisticated table/bench solution sWAY is optimal to be placed in the public areas such as parks, highway rest points, stadiums, etc. We linked modern design of the stainless steel with a handmade wood and now, we bring to you the best “all in one” solution. The most important thing is a presence of the 230 V AC socket, so you can connect any device such as notebook, wall charger, radio, etc. It also has standard USB ports and Qi wireless charging. Need internet? Just connect to the high-speed LTE Wi-Fi. Total power is 260 Wp and this sWAY may be also equipped with the advanced sensors. 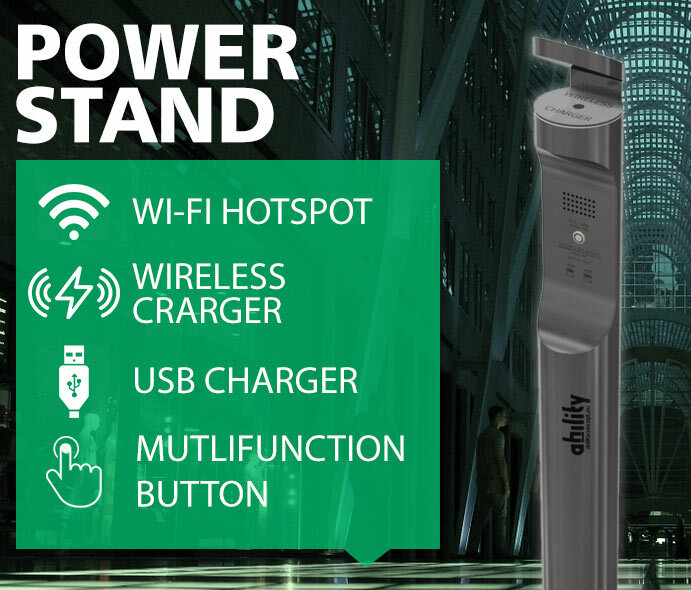 PowerStand is the universal charging station and our new product for 2018. It is optimal to place it everywhere, where it is difficult to place our solar products. 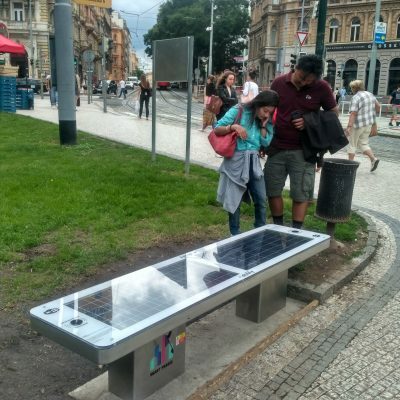 It finds its place at any place where people usually wait for something (train station, tram station, airport …) or in the park and shopping malls. It is necessary to use the 230 V AC power supply source. You can use standard electrical wires or PoE. It can be also plugged to the lamp if the lamps are 24/7 under the voltage. PowerStand is equipped with 2x USB sockets to charge your mobile devices. If your mobile device is Qi ready, you just place your device on the PowerStand and it starts to charge your mobile device immediately. It is also equipped with the button which can be designated for the SOS emergency purposes or individually. When placed at the train station, it can serve as the “call for assistance” button for disabled people. It can also serve as the remote door opening, etc. Wi-Fi connection is provided by the 4G LTE modem or by a direct link to your ethernet network.